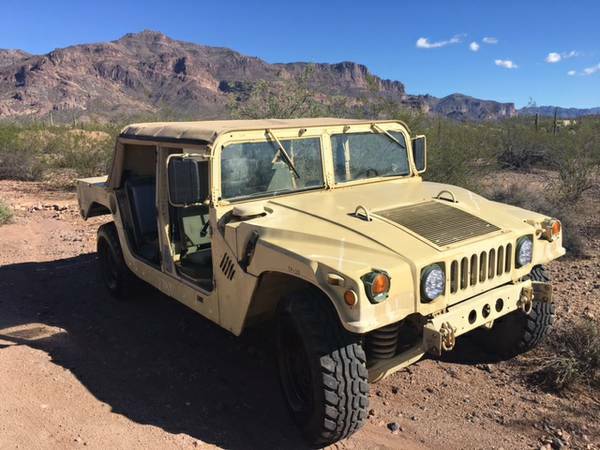 Found this one the American light utility vehicle being offered for sale in Craigslist, designed and developed as multipurpose vehicle were mobilized to tactical support at the front line in a combat also must be tough and reliable to pass any tracks and any weather. Yes we talking about the HMMWV (High Mobility Multipurpose Wheeled Vehicle) well-known as the Humvee jeep. First produced since 1984 a year after the US government declared AM General as the winner of tender to produce a successor of the Vietnam War M151 jeep. Interesting to note, competitor AM General in the tender is the Cheetah made by Lamborghini Italian manufacturer. Humvee became very famous when George H. W. Bush declared war on Iraq in the middle of 1990 were well-known as the Gulf War, codenamed Operation Desert Shield. About six month Humvee became a mainstay in the desert, like a Lion beat back the Hyena horde the Humvee exploits reap a lot of attention of the world. As on the picture above it will make you recall the Lion, 1987 AM General HMMWV M998 come in yellow desert color still in excellent condition overall with 200000 miles on it, that was looking for a new home. If you interested please prepare your budget to bring it home, asking $16000 located in Gold Canyon, Arizona. 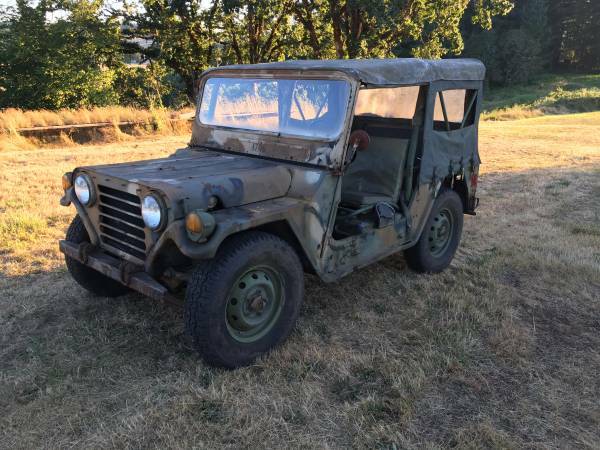 Found this one unmolested example of the M151A2 Military Jeep was offered for sale in Lebanon, as shown here is an original 1968 model that was made by AM General runs and drives well never been modified will released at $5000. Interesting item for those's often talk about military vehicles especially for Vietnam War era. The M151A2 also well-known as the successor to the M38 (Korean War Jeep), it was produced from 1959 through 1982 and mostly served in the Vietnam War. Originally M151 was produced only by Ford, but then followed by Kaiser and AM General to help production. This a High Mobility Multipurpose Wheeled Vehicle (HMMWV), commonly known as the Humvee built by AM General, it's the successor of the M151 Jeep as utility vehicles which in frontline use. 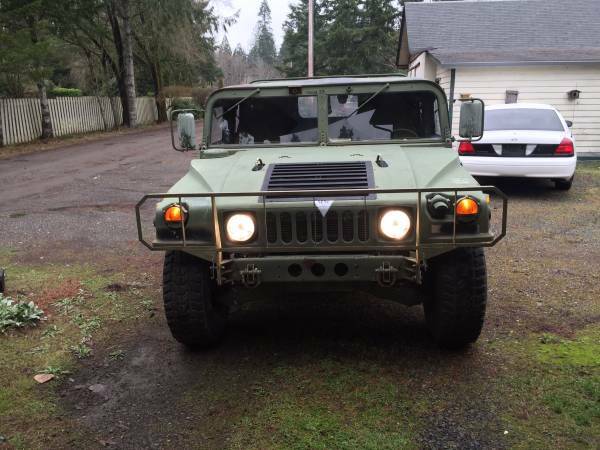 Yes this a US Army HMMWV released in 1989 has a low mileage and excellent condition come with a Trailer already offered in Craigslist about 9 days ago looking for $16000 location in Belfair, Washington. This a truly off-road truck like appearance, and the seller says that it’s recently been set up as convertible with soft top and soft doors. It could be a perfect 4x4 vehicle come with a solid body frame, diesel was greats with automatic transmission, only 4 man can inside, sold with a trailer. As always please come to see directly for actual condition. This a Military Light Utility Vehicles made by AM General for US Marine. 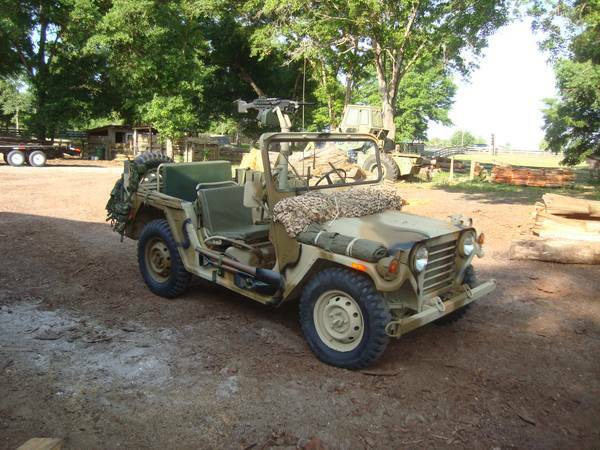 As you are seen here is the M151A2 military jeep built in 1973 has been totally restored and all work properly. May it a remarkable sample as its ages, complete with a machine gun ready to war. It could be a perfect item for collector especially military vehicle enthusiasm. It predecessor of the AM General HMMWV as utility vehicles which in frontline use. Not many details by its owner, but it looks terrific and convincing. Uncut Jeep all equipment sit in there. Unfortunately no engine photos to consider, hope is a really good as it looks. As always please come to see itself for actual condition. Already offered in Craigslist about 22 days ago, asking for $12950 location in Eustis, Florida. 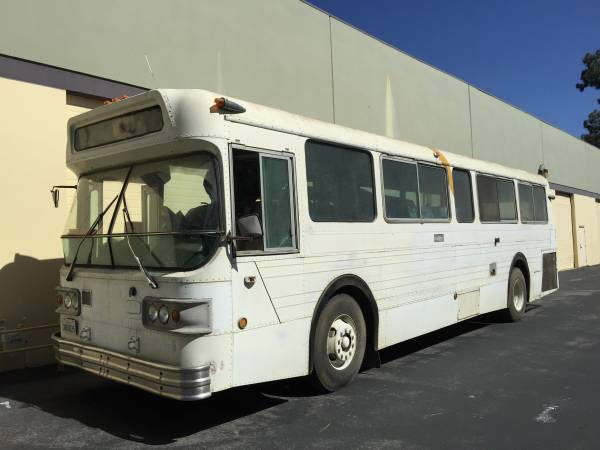 Here's a American classic bus made by AM General, as the picture is a city transit bus model was released in 1977 powered by 8V71 Detroit Diesel mated with automatic transmission good condition ready to go. Operated from 1974 until 1979, total 5K units ever made and this one of them looking for new owner. It's would be great bus conversion project.